Over two thirds of the Earth’s surface is covered by water, and as the human race looks to embark on new challenges and experiences, we often look to sea for the most extreme adventures. It why WEM established its unique ‘Ocean and Marine Medicine’ course. Of course, any significant marine journey will take people far from the nearest hospitals and emergency services, and in this isolated situation a particular set of skills is required to stay safe. 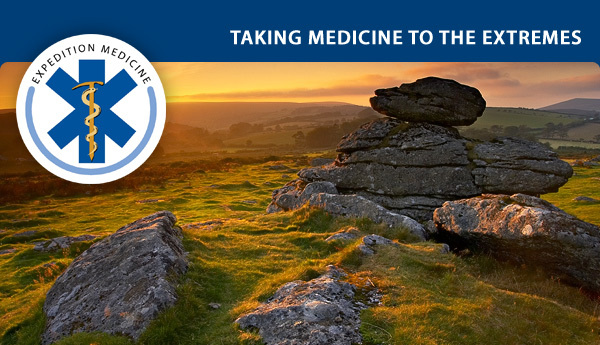 From 7 to 10 May 2018 in Plymouth, Devon, a group of medics and oceanic explorers from around the world will undertake an ocean-specific medicine course so that they can keep people safe in the rapidly growing world of oceanic sports and adventure travel. The course will give participants an understanding of conditions likely to occur whilst on a marine based expedition, oceanic sporting event or pan-ocean sailing expeditions. 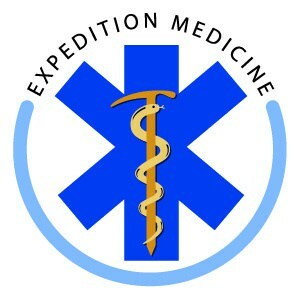 Putting together the course, World Extreme Medicine consulted with world-renowned ocean explorers, divers, pan-ocean sailors, rowers, open water swimmers and its own expedition experts to create a unique and comprehensive syllabus. 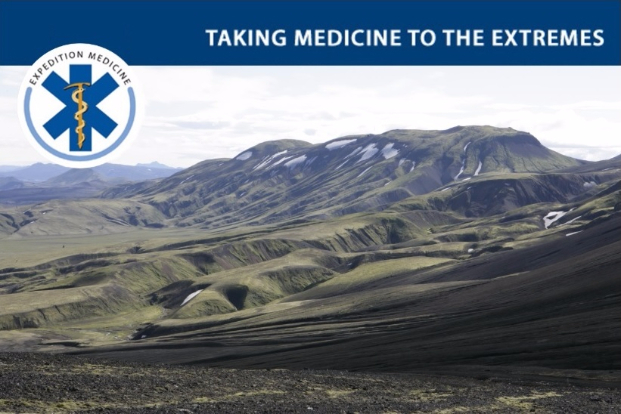 On the course, participants will learn from World Extreme Medicine’s Ocean Medicine Team, a group of seasoned experts who bring together over a century of collective experience. 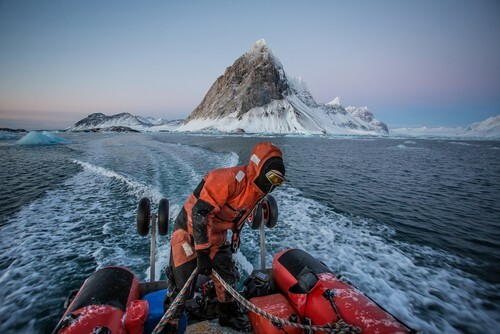 Mark Hannaford, who grew up in Plymouth, is the founder of World Extreme Medicine with over 30 years expedition experience and a small boat specialist, with 15 years’ experience in areas such as Antarctica, the Russian Far East, the British Isles, the Seychelles and Madagascar. 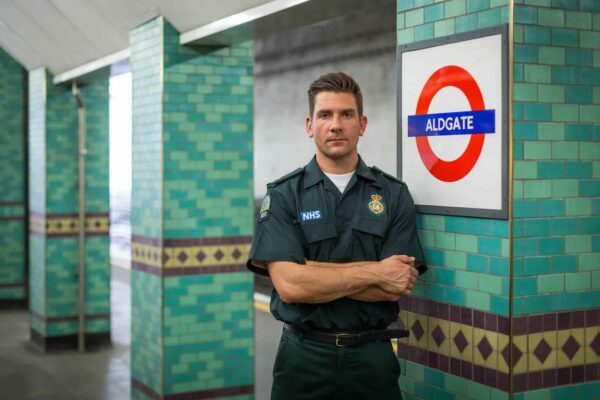 Dr Alex Rowe is an RNLI Helmsman, a role in which he was awarded a Pride of Britain Award. 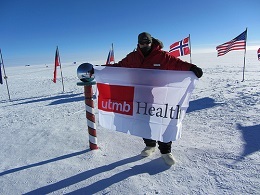 He is also a British Association of Immediate Care responder and experienced expedition medic. Dr Claire Bailey was a member of the all-female Round the World Race crew with Tracy Edwards. She has worked as an on-board doctor for adventurer Steve Fossett with the catamaran Playstation/Cheyenne, which survived dismasting in Southern Ocean and was adrift for 10 days and under tow for further week. Catherine Buckland is a commercial diver and dive instructor who has spent the last decade working in the marine industry, either working as a diver or diver medic, teaching diving or power boating among other marine based qualifications. This work is varied and takes her to challenging environments where all the skills and experience need to be put in place. Chris Booker is a marine biologist and offshore commercial diver. He has over 20 years’ experience working in a diverse range of marine environments, from the Caribbean to the Atlantic and the North Sea. He also teaches maritime courses, skippers boats and works as a dive medic technician. Laura Penhaul is a former lead physiotherapist with Team GB Paralympic Athletics, and was lead for the record breaking ‘Coxless Crew’ row of the Pacific. Mark Hannaford said, “We’ve pulled together a team with a wide range of specialisms and experiences because the world’s oceans – and the medical conditions that we have to prepare for – vary so much. “Our aim is to combine lectures, workshops and discussions with hands-on experiences on land and at sea to give course participants insight into the things that can go wrong when diving, ocean rowing, swimming or sailing. The Ocean and Marine Medicine course runs from 7 to 10 May 2018 and costs £995. 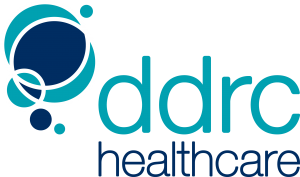 We ‘re delighted to be working with specialist international medical recruiter Head Medical to promote some of their more interesting roles. Arranging a position overseas is exciting, but Head Medical understand that it can also be a complex and time-consuming process. They’re the UK’s specialist in international medical recruitment and have helped many Doctors relocate since first starting in 2008. They know it’s important to balance career opportunities with lifestyle so they’ll talk through your plans and get to know you to make sure they find the right role in the right location. Once they’ve secured a job for you, they’ll manage the Medical Registration and Visa application process, and support you throughout the relocation. 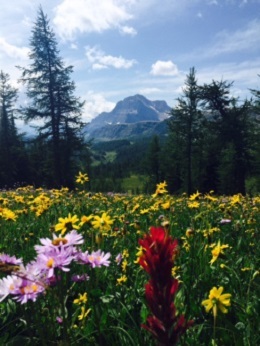 3 permanent GP positions available with a well-established rural private practice based in Western Alberta. This is an excellent chance to experience and explore the stunning natural beauty of Canada; you will be working with and making a positive impact on a local community while being exceptionally rewarded with high earnings and excellent benefits. Working closely with the local community, the practice aims to effectively and efficiently develop and administer programs and services. You will be working on a fee for service basis. The practice is open 5 days per week, 8.30am – 5pm. There are also emergency on-calls at the local hospital (on average they will be 6-10 per month but more shifts are available). Weekend rates are higher during the week. As this is a rural position you will need to have skills in Emergency Medicine. 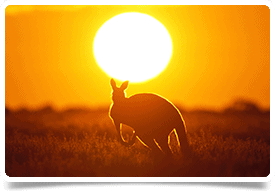 ​This is an amazing opportunity for a General Physician with an adventurous spirit and desire to make a difference to the health and well-being of an amazing community in outback Australia. The job is arguably the most exciting general medicine position in Australia and would attract a committed and dynamic medical professional who can think on their feet, work autonomously and enjoy one of the most remote places on earth that also has unique health challenges. Based within a township some 300 km from Darwin you will also continue to develop a significant outreach program that has already made some instrumental gains in health care in the region. There are very high rates of rheumatic heart disease, glomerulonephritis, diabetic retinopathy, infectious diseases and respiratory illnesses. Most of the health care issues are poverty related with life expectancy being only 45 in the region. Applicants with interests in renal, infectious diseases, respiratory, gastroenterology, cardiology or endocrinology will be highly regarded and would add real value to the service. This position would suit General Physicians qualified in either the UK, Ireland, USA, Canada or South Africa. Your communication skills will be first class and you must be interested in working within a cross-cultural environment, across all ages. A first class remuneration package (circa GBP150k and above plus benefits) will be awarded. Physician with an adventurous spirit required for an outback town in North West Queensland. If you are looking for a total change in practise and experience, this role could be for you. We are seeking a General Physician to join a team in Mount Isa Hospital, which is also considered a centre of excellence for remote and rural training. The Medical Ward has 24 beds and consultative services are provided to the surgical and maternity wards. In addition, there is a 5-bed high dependency unit. Most referrals arise from acute medical cases seen by the emergency department or from medical, diabetic or specialist outreach Outpatient Clinics. Ideally you will hold FRACP (or equivalent specialist qualification), and be registered or eligible for registration with the Medical Board of Australia as a Senior Medical Officer or Specialist Physician. You must have also experience and interest in working with remote and rural communities. Although Mount Isa is a small town, established as a result of the mining industry, it is home to a variety of different cultures with a population of 25,000 and services a region spanning 300,000 square kilometres. Jump in the four wheel drive and explore the outback, do a bit of fishing, or camp out under the stars. And if you’ve never been to a rodeo, this could your chance. The local airport has regular flights to Brisbane and ongoing international connections. In this role, you will experience a supportive community and a relaxed lifestyle in a truly unique environment, as well as a diverse patient mix and an excellent remuneration package. Fantastic management and clinical opportunity, giving you the chance to lead a vital service with an outstanding salary and benefits package on offer. An enthusiastic Senior Medical Officer (SMO) required to lead a team in the beautiful East Kimberley region of Western Australia, based in Kununurra. 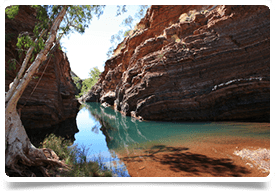 The East Kimberley SMO position is a combined clinical and administrative role responsible for administrative duties and supervision/support for other medical staff working in the Kununurra, Wyndham and Halls Creek hospitals. The SMO reports to the Operations Manager at Kununurra Hospital, working closely with each site’s Director of Nursing and liaises with the Kimberley Director of Medical Services on operational and strategic issues for the hospitals. Clinical duties will include involvement in the Emergency Department and/or GP Clinic at each hospital. Appointment to this position is based on skills and experience with a minimum requirement of 12 years’ experience in general practice environment. Experience in rural hospital settings desired. The Kimberley region has a high Aboriginal population as well as a large transient population, which impact the health services. Three quarters of attendance to hospitals with in the Kimberley are for semi-urgent and non-urgent. The leading cause of emergency attendance for Kimberley residents are skin related diseases and disorders; injuries; toxic or drug effects; ear, nose, throat respiratory system problems. This is a fixed term position with the opportunity to work flexible hours allowing time off for professional development and long holidays. 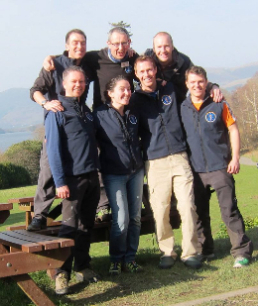 Attend an Expedition & Wilderness Medicine training course to enhance your employability. 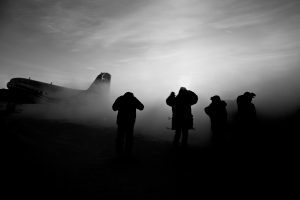 Extreme medicine and expedition doctor Alexander Kumar provides an account of his time spent working in one of the coldest places in Antarctica and one of the few true extreme environments on Planet Earth. Known for his sense of humour, he has lived, worked and travelled through over 80 countries all over the world, including the Amazon and extensively across the Arctic and the Antarctic a few times also over the past 10 years. Antarctica is a large flat egg-white expanse with bits of egg shell in it (aka the TransAntarctic mountain range) that is greater in area than India and China put together. Exactly 100 years on from Scott and Shackleton, I travelled to Antarctica and spent around one year living at Concordia, a joint French-Italian inland Antarctic research station as the Human Spaceflight Research MD to conduct research for the European Space Agency in an attempt to understand how far human physiology and psychology can be pushed towards a future manned mission to Mars. 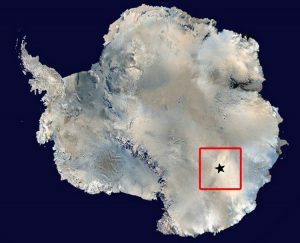 It is one of the most remote outposts on the planet located in one of the world’s most extreme environments. 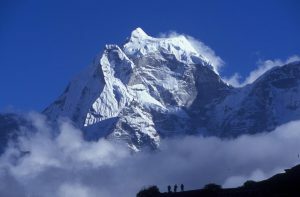 The most extreme place on the planet? * Nothing lives outside the station for over 1,000 kilometres, in nearly all directions. * Our nearest neighbours are the astronauts orbiting the earth on board the International Space Station, and then some Russians snowed* in at Vostok station (* = it does not actually ‘snow’ inside Antarctica). Answering the job advertisement for what may be the coldest and loneliest job in the world, I found packing my mind for a year away was much more difficult than my bags. To travel to the moon from the base would only take three days – far less than the three weeks it took to fly from London to Hobart and then to sail by icebreaker across the Southern Ocean, battling high seas, whales and being stuck in the ice pack with leopard seals before reaching a 60,000-strong rookery and football stadium’s worth of Adélie penguins. The stench nearly turned me back home. Antarctica is an ill defined space in people’s minds. It incorporates South Georgia and other sub Antarctic islands, which are in fact closer to South America than the continent of Antarctica itself. People can and have sailed to South Georgia even during its winter. Whereas the interior of Antarctica remains an inpenetrable block of ice. 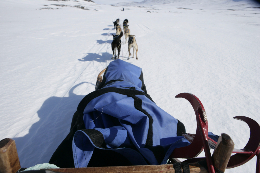 Even a team led by Sir Ranulph Fiennes’ (Coldest Journey) could not penetrate the continent’s interior during winter. Antarctica is full of surprises (and penguins). Adding to that it was the first time since the station opened 10 years previously that there would be just one doctor overwintering – that was to be me, since another doctor left the base just before winter began. It was a game of Tag and I was ‘it’. I can’t complain now about a set of nights or hardship on-call after doing nearly a year on-call in Antarctica. The journey wasn’t over, it had just begun. After flying a further five-hour flight inland in a Twin Otter over the Great White Silence, a blank white canvas. Perhaps God had forgotten to paint this continent, intentionally I thought, as he took rest on the 7th day. Antarctica’s ice layer protects and hides its secrets like a thick skin, stretched over the bedrock many thousands of feet below. Recent efforts at Russia’s Antarctic Vostok station tapped the veins of the sub-glacial lakes, which flow deep beneath the surface, that may harbour evidence of life forms of our distant past. But as yet, this continent’s secrets remain teasingly elusive. Ice cores plumbed out of the 800,000-year-old ice have told a story of their own – the impact of mankind on Earth and climate change. Century-old equipment was used in the discovery of a hole in the ozone – earth’s own flesh wound, which may yet scar over. We conducted earth science research including glaciology, meteorology, seismology and astronomy, alongside my own research (on the adaptation of human health and well-being to this extreme environment), and trying to help in arranging the jigsaw pieces involved in sending a manned mission to Mars and back. As winter sets in, you stop living and start surviving. 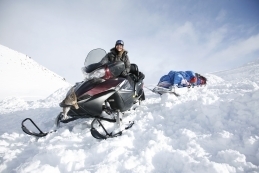 Temperatures plummet below minus 80C. In May the sun sets for the last time. A curtain of darkness falls, leaving you to endure three months of 24-hour darkness. Spinning uncontrollably through the world’s time zones, leaving you gasping as you wake from unforgiving, hypoxia-euphoric vivid dreams. The cold and isolation begin to seep in and your mind begins to stretch uncomfortably, as your senses become blunted by the sensory deprivation. There is light at the end of the tunnel as multicoloured lights flicker overhead in the darkness, the Aurora Australis. Once you enter the Antarctic winter, you begin a personal journey of discovery and you will learn a lot about yourself. You cannot turn back or go home. Once that last plane departs, there is only one way up, you have to summit and there is no quitting, only crying along the way. 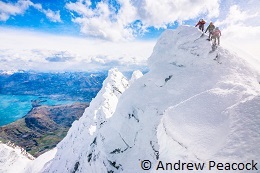 Living and over-wintering as the only British national among a team of 13 Europeans in the most extreme and remote environment on the planet was not ‘easy’ but not so challenging as it was predictable. 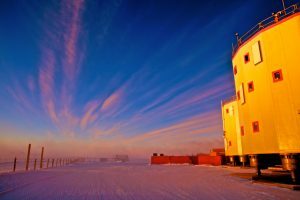 As in any stressful environment living in an Antarctic station can be likened to living in one of the Old West frontier towns – a continual sense of not knowing who is going to shoot at who next or why. As a team, we ate, slept, exercised, conducted science and survived alone frozen into the landscape in close proximity. We all survived. 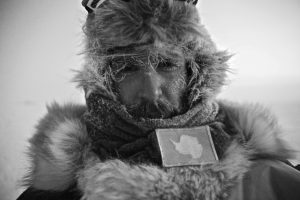 Not wanting to spoil the winter and many stories that came from it, I can summarise wintering in Antarctica in one sentence… it is one of the world’s only psychological marathons and one of the Earth’s greatest, most magnificent and most peculiar journeys. Tourists are so often bedazzled by Antarctica. And the public are often impressed by those who have been there. It certainly is special. 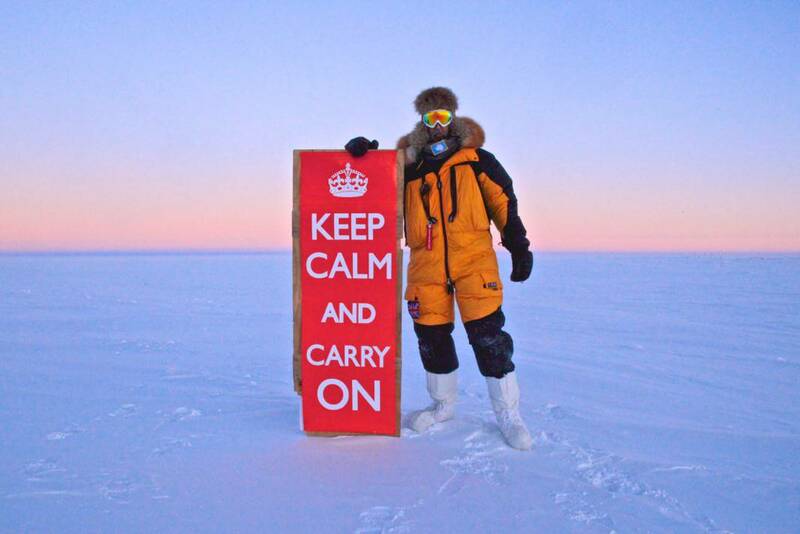 However, all in all, you can say you have ‘been’ to Antarctica if you have flown in to work there for a few weeks or been on a cruise down there, during the breezy summertime. Take heed, when this is so often thrown about in conversations and talks. Really, you can never say you actually know Antarctica until you have wintered there. And not just anywhere. A winter on a subantarctic island such as South Georgia, Antarctica’s coast or peninsula (-20C climbing and skiing activities which can be accessible during the winter) is nothing like a winter in the interior of the continent (-80C in hypoxic darkness that is inaccessible for months). And even a well connected wifi ridden winter in the interior nowadays is nothing like a broken radio winter in Shackleton’s day. If you want real isolation, you’ll have to bury your head and phone in the ice. My own conclusion? Simple – Watching people around you unfold and unzip at the seams during wintering as a doctor is an interesting and can be an unforgiving past time. For sure, people aren’t made of the same grit and stuff these days. If you want to really experience something try to do it properly. Challenge yourself and mankind. What have you got to lose? … Only a few fingers or toes. Alex has since worked in different space analogue environments and constructed the ‘White Mars’ research protocol for Sir Ranulph Fiennes. As an accomplished writer, photographer and public speaker, he has published articles in BBC News, New York Times and by invitation, recently held an exhibition at the Royal Photographic Society, featured in The Guardian. Alex now talks and works internationally for different organisations and humanitarian agencies, conducts global health research and continues to enjoy taking photos behind his camera and presenting in front of cameras for TV including BBC and Discovery, alongside his day to day NHS job and is a member of the EWM faculty. Alex is continuing important work on a patent for a unique blend of cheerful and optimistic British sarcasm. Raleigh International has over 30 years’ experience driving sustainable change through inspiring young people to volunteer overseas. We are looking for an experienced nurse to join our management team in London. As the Medical Coordination Manager you will play a key role in supporting our staff and volunteers. This involves ensuring the highest health and safety standards are met at all times on our international projects, including providing optimum response in case of emergencies. 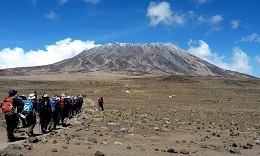 You will assist in the recruitment and support of expedition medics and vet all applicants to be volunteers and staff. You will also have considerable input into policy and practice. 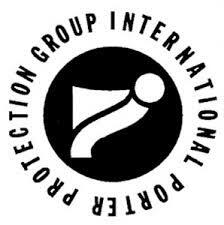 You will be a central part of the safety team with a high level of liaison with our overseas staff and programmes. 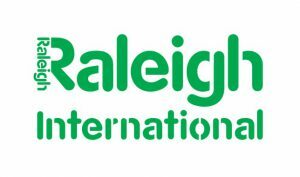 Raleigh International is a sustainable development charity. We harness the passion and energy of young people to effect positive change in sustainable development. Our programmes focus on providing access to safe water and sanitation, protecting vulnerable environments, building resilient communities and developing youth leadership. Our work is delivered through young people and is a collaboration between local communities, partners and volunteers from a wide range of backgrounds, nationalities and life stages. We operate in partnership with communities, non-governmental organisations (NGOs) and governments in Borneo, Costa Rica, Nicaragua, India and Tanzania. Since our foundation as a charity in 1984, Raleigh volunteers have become a global community of more than 38,000 people committed to building a sustainable future.